Donna Marsh (’98) serves as associate pastor at The National Presbyterian Church in Washington DC. She leads mission and pastoral care programs there, and takes great joy in being part of her church’s rich worship life. 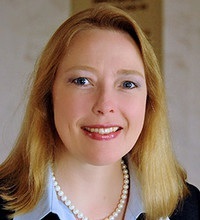 Previously, she served as associate pastor of Darnestown Presbyterian Church in Darnestown, Maryland. Before coming to the Seminary, she was equipped for ministry by serving as the development director for the U.S. Committee for Refugees, and by working as a change management consultant for Andersen Consulting. She is a graduate of Smith College.